This page is a guide to other top Sussex Marks, they are listed in alphabetical order. This page provides hints on how to fish the area at different times of the year and what tackle and baits are best. If there is anything you would like to add or any info about this or other locations then let us know by email or the guestbook and we will add it. Also If you are fishing any of the locations below and have any questions that cant be answered on here then just drop me an email at craigide@hotmail.co.uk and i will be more then happy to help. Goring on its day can be a fantastic mark for many species of fish especially, Flounders, Eels and Smoothhounds. They are shallow beaches where the tide comes in a long way. The main problem with Goring and the surrounding areas is the amounts of weed that you can encounter. If you fish after or during a big blow up then you will probably find that there will be too much weed and your hook baits will become covered in weed almost instantly. If there is weed try keeping your rod tip as high as possible because sometime the majority of weed is in close. More details will follow. Thanks to James McGill for the info. Spring: (Glenn Arnold) Over the past few years my friends have re-named this venue as "Boring Goring" and to be fair at times it is exactly that. I would say that the only time to fish here would be after a blow, you need the water fairly calm and dirty, oh and dont fish here on a really big tide because you will catch lots of weed. Now for the positive stuff! At Goring you will catch rockling, flounders, plaice, dogfish and eels. A hotspot for big eels and big flounders and can be in great numbers. When fishing at Goring i would suggest to look at low tide for a beach that has a mixture of rock and sand as this will enhance your fishing. Best baits are peeler crab, red rag and king rag. You can fish from low tide up to high tide and one hour down, fishing is not advisable after these times as the water rushes out really fast. Also take your fork as you easily dig fresh blow lug! This is a well known spot for Bass, however there are many other species to catch, on a calm summers day you can often see mullet swimming about (whether you will catch them is another thing). Good baits to try are Peeler Crab, Live pout, Mackerel fillet or live prawns for bass during the summer months. It can also be a good spot for spinning and plug fishing but surface lures would probably be advisable due to the snaggy nature of the venue. The tide comes in a long way here and at low tide you can look over the rock pools which may help you to decide where to fish as they may reveal a gully or patch of less snaggy open ground. You can also go onto the rockpools and get yourself some peelers and Live Prawns. In rough weather you can catch a lot of eels and all the usual fish associated with rocky marks, however the waves can come over onto the walkway so safety and caution is a must. I haven’t fished here often so it’s all new ish to me. I would suggest using a rotten bottom rig as you should expect to lose some tackle. In winter expect Whiting, Rockling and the occasional Cod. Use Lugworm, peelers and mackerel or squid for bait. A word of advice is to use strong line such as 25lb + and make sure you use a reel that retrieves quickly to avoid getting snagged up on the wind in. 'Also, Saltdean is ok for bass in the summer if you use live prawns on float. the best place is at the end of the rocks in Rottingdean and between Rottingdean and Saltdean, 1.5hr before high tide and 30mns after high, although some bass are caught in rottingdean when the tide is going down (thanks to Lagachette for this info)'. 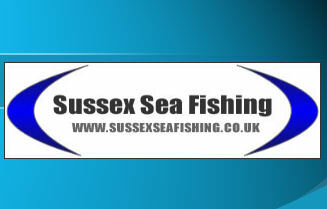 Shoreham - coming soon, if any one has any info about how to fish this area let me know and i will add it on the site. Hotpipe area (behind sewage works): This is a great area for fishing for bass and best results can be found by fishing directly near the pipe where they swim and feed in the warm water. Tactics include fly fishing, live prawns, spinning and plugging. You can also catch mullet and flounders around this area and by using harbour/red rag you will be most likely to catch. Shoreham arms: This area fishes similar to Brighton marina and more details will follow shortly. Kingston beach (Inside the entrance to the port): This area can be great for fishing or flounders and Schooly Bass in early spring and summer. Top baits include any type of ragworm and peeler crab. You can also fish this area in very rough and windy conditions because it is inside the port and therefore protected from the rough conditions. When you fish this area cats onto the muddy flat area as this is where the fish will feed as they come in close with the tide. Dont cast too far as there is a deep gully in the middle which sounds ideal for fishing but it is a sheer wall of mud and rock and will result in snags if you do want to take it on the i would suggest 1 hook rigs and a reel that can retieve quickly so that you lift it over the snag, you can also get a gadget that lifts your weight to the surface and is used for snaggy areas so it may be worth a try, I will find out more details and add the name of the item soon. To be honest though i would stick to shorter casts for less hassle and more flounders. In winter this can be a good spot when it is very rough as stated earlier but i would recommend fishing a 'normal' beach if you can as you will catch more. River entrance: The best and only baits that will provide top results around this area are harbour/red rag and peeler crabs. You will catch Bass, Eels, Mullet and Flounders. Thanks to Marc Arnell-Smith for this great info: If you need info on places to fish, there are a few areas around, there is beach casting off either beaches on either side of the river arun in any season of the year, catches can include bass, flatties, codling, mullet and the odd thornback ray will pop up every so often. anywhere in the river will produce bass (record at moment is 18lb), mullet on bread, wrasse, good size flatties but be warned there are thousands of crabs in the river that will nick your bait at any given chance, there are also silver eels (record is 6lb) which can be a bit of a problem but if your a beginner its fun, the best place in the river is at the mouth at low tides, there is a sand bank running across the mouth connecting the beaches which is walkable only at low tide, and you have the added bonus of no boats as they cannot access the river at low tide as at its lowest the depth on the sand bar can go as low as a few feet deep, to the west of the river there is elmer rocks which are a band of 9 man made rock arms which are a good venue catching bass, eels, flatties, black bream, codling, mackerel in summer, there is a tackle shop here too called 'tropicana' which stocks all your fishing needs and covers all types off fishing at good prices. Spring: For a comfortable days fishing head to Worthing Pier. Its a safe place to take your kids fishing whether it be during the day or at night. As it is relatively shallow the best time to fish is 2 hours either side of high tide. During March you can expect to catch rockling, flounders, plaice, dabs, pout, whiting and bass, during the night you will also catch dogfish. The best baits are fresh black lug, blow lug, fish baits and king rag (Glenn Arnold).